Shopping for Inside Out Pint Glasses? Feeling kinda low? Riley knows just how you feel as she appears on this Inside Out Sadness 16 oz. 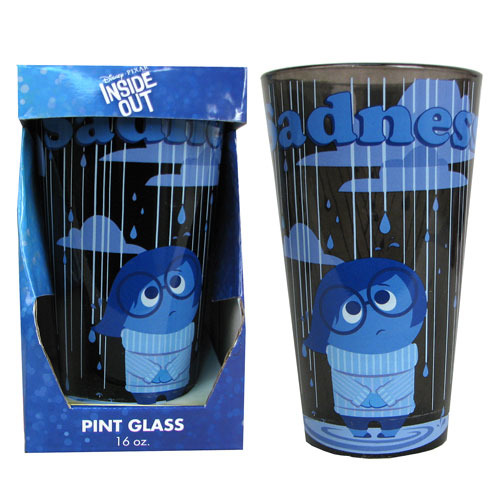 Pint Glass based on the 2015 computer-animated fantasy-comedy film Inside Out. Maybe the two of you can commiserate. Hand wash only. Not dishwasher safe. Do not microwave. Measures 6-inches tall. Ages 14 and up.